One of David Foster Wallace’s stories, “The Devil Is a Busy Man,” concerns the nature of charity and whether true altruism is really possible, given our natural compulsion to seek validation in our good deed (which ostensibly robs the charitable act of its purity). Wallace’s conundrum, worked out over several characteristically fraught pages, came to my mind while reading John Cheever’s much lighter and cheerfully caustic holiday tale, “Christmas Is a Sad Season for the Poor,” which was originally published in the December 24, 1949 issue of The New Yorker. 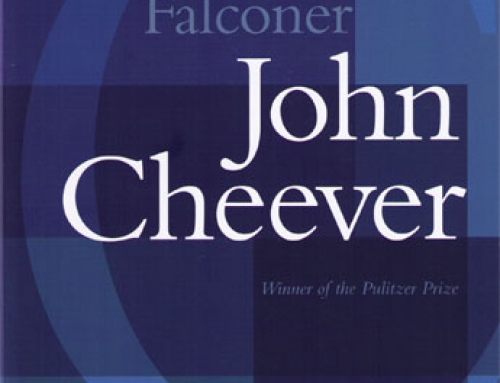 Unlike Wallace’s tortured protagonist, however, Cheever’s dour elevator operator doesn’t spend much time examining the motives of charity — but he will exploit them, to humorous effect. The story begins with Charlie Leary waking to his alarm in a fit of self-pity: he is “practically the only one” who has to get up at 6 a.m. and go to work on Christmas morning, escorting rich people up and down their ritzy apartment building, where he is informed that since the doorman is sick he’ll be asked to hail cabs, too. Charlie recalls a scene earlier in the week with a woman and a young girl walking down 59th Street. The girl was crying — at least he thinks she was crying — and he can just imagine the reason why: the mother probably works long hours, can’t afford the toys in the shop windows or the heat in their apartment or suitable clothes for the girl, can only pay for a little can of soup and will have to scrape around for something to put in the girl’s stocking . . . oh, the injustice! On this day of all days, when we are told it’s our duty to buy expensive gifts for our children and worship a big fat bearded mascot! What are the poor supposed to do? Now sufficiently worked up, Charlie takes a different tack with his sob story, inventing out of whole cloth a disabled wife and four children (two of them dead!) who are at home decidedly not feeling Christmas cheer. It works: soon enough Charlie receives more gifts than he knows what to do with. The DePauls offer him a cocktail and some extra goose from their Christmas table. Mrs. Fuller tearfully hands him an arm-full of silver-wrapped packages, including a wallet with her husband’s name on it. The Westons give him a turkey dinner and a dressing gown. The lady on 14, now living alone, lets Charlie take her husband’s neckties. Drunk on all the liquor and his newfound faith in humanity (the elevator is no longer a prison but the vehicle for a birdman who can soar freely through the skies! ), Charlie picks up lonely Mrs. Gadshill on 12 and turns his elevator into a roller coaster, going up and down the building at full speed and scaring the pale old woman to death. She notifies the superintendent, and Charlie is fired. When he comes back down to earth, he finds himself ashamed of the lie he told his tenants to engender their sympathy: “He had abused the goodness of the people upstairs. He was unworthy.” His thoughts turn to his landlady and her three “skinny” children, whose Christmas joy had “passed them by” sitting in their basement; looking around at his unworthy bounty, Charlie takes some of the gifts and resolves triumphantly to bring a little Santa Claus into their lives. Charlie seems to operate on a festering indignation at the injustices of the world and how he can correct them, but it’s worth noting how many of these injustices are as imaginary as his four children: he assumes the woman and her daughter on 59th Street are having a desolate Christmas, and he projects a similarly bleak tableaux for his landlady’s family (who in fact are not going hungry and have received plenty of toys to make them happy). A beatific light came into her face when she realized that she could give, that she could bring cheer, that she could put a healing finger on a case needier than hers . . . first love, then charity, then a sense of power drove her . . . it was dark then, and she knew that we are bound, one to another, in licentious benevolence for only a single day, and that day was nearly over. She was tired, but she couldn’t rest, she couldn’t rest. Another classic ending from Cheever, packed with perfect turns of phrase (“beatific light,” “licentious benevolence”) and that final punchline, “we are bound . . . for only a single day, and that day was nearly over.” The landlady has to rush because the gifts won’t mean as much if they’re given a day later. So what is this story supposed to be? A corrective to the rampant commercialism of the Christmas season? A riposte for us feeling good and charitable only on one assigned day of the year? A DFW-lite fable about the hidden selfishness of giving? 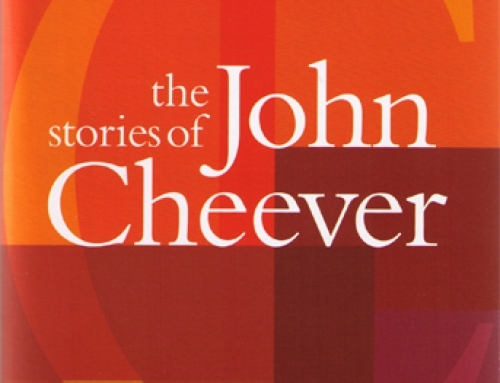 Maybe all of those things, to some extent, but Cheever’s story is told with such warmth and good cheer that it reads more like an inverted Christmas carol than as a blistering critique of human nature. It’s a story that should receive more recognition in the holiday canon, and it’s one of my favorite stories in the collection. Hi Michael, just want to add that this story is available here (http://www.newyorker.com/magazine/1949/12/24/christmas-is-a-sad-season-for-the-poor) in non-micro-fiche, gorgeous print. Very thoughtful assessment of this wonderful story – thanks for posting it! And hard to read the story without thinking of Alcott. I agree! It should be part of the holiday canon – sly, funny, and surprising, I like the way Cheever lets us slowly realize that Charlie’s a con-man. That’s mastery of comic timing. “The majesty”!! of a lie! The majesty of the haul! – fourteen dinners sequestered in the locker-room! That’s mastery of slapstick. Christmas appears to be the central performance of Charlie’s year, but he has to be “sufficiently worked up”, as you put it, Michael, in order to deliver. It’s the combination of con-man and Christmas that feels so delicious – a combination which is perfectly topped off by the drunken joy ride in the elevator. There is something very fitting about the con-man’s Christmas. Fourteen dinners appear to have come with 14 drinks. It makes you wonder if this Saturnalia and the inevitable firing is a practiced, annual, much-anticipated event with him. One of the perks of the job. Thanks for bringing this to us, Michael. So dry – so ‘caustic’, as you say. I think this is your best analysis so far, Michael: spot on! I like the ‘inverted Christmas Carol’ observation at the end – sums up the whole thing. One question: what’s the Democratic Club that sends the landlady Christmas gifts? Is it an offshoot of the political party, or something totally different? This English reader doesn’t always get the US references. Thanks, Simon! I’m enjoying your analyses as well.